Need a last minute holiday gift? 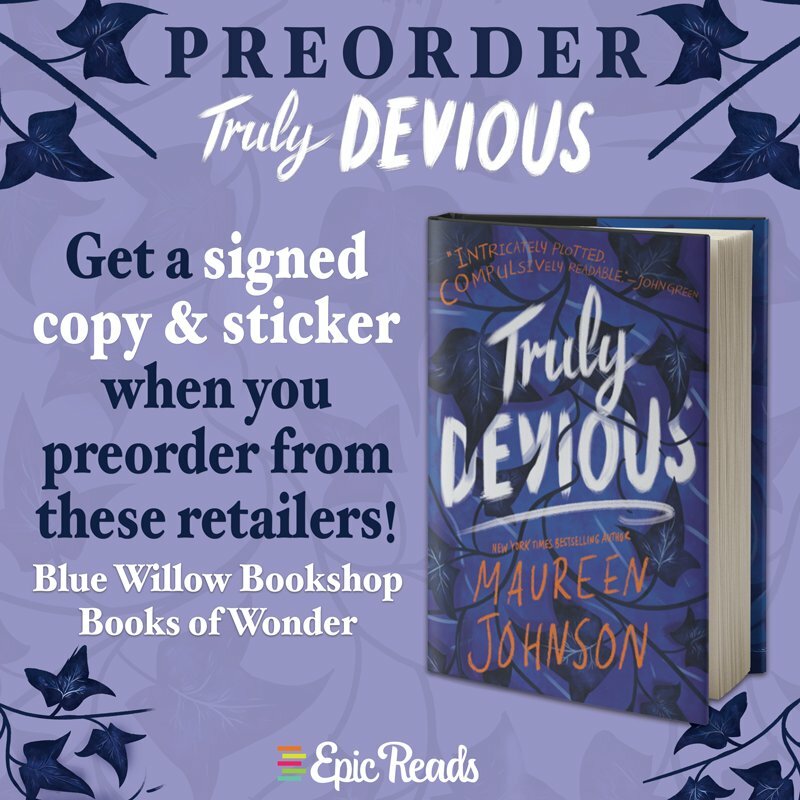 You can pre-order a signed copy of Maureen Johnson‘s forthcoming novel TRULY DEVIOUS from Books of Wonder in NYC or Blue Willow in Houston, and then click here to download a certificate to print out instead of having to wrap a book! Everybody wins! 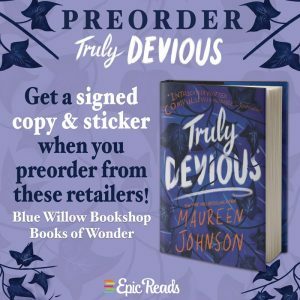 TRULY DEVIOUS was chosen for the Kids Indie Next Winter list, is an official selection of the Junior Library Guild, received a starred PW review, and has already sold in 9 foreign markets!